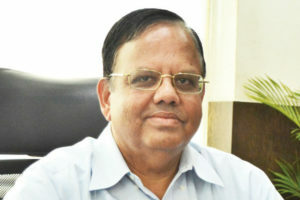 IoT Security platform of emSecure safeguards the identity and communication in IoT ecosystem through constant monitoring and controlling of IoT devices by using Public Key Infrastructure (PKI), says V Srinivasan, Founder and Chairman, eMudhra, in an Exclusive Interview with Poulami Chakraborty of Elets News Network (ENN). Give an overview of emSecure. How does it enable solutions related to the enhancement of Smart Cities? emSecure is an IoT Security platform focused on securing the identity and communication aspects of the IoT ecosystem in Smart cities using PKI. Each device in the IoT network, and user who is accessing any application to monitor and control the IoT devices, is assigned with a unique Digital Certificate. The emSecure platform uses PKI technology to validate this identity at each device/ device or user/device interaction that takes place within the platform. Further, the platform uses hybrid cryptography to encrypt and decrypt all communication, thus adding another layer of security to the IoT framework. Using PKI-based in the middle attacks and other botnet attacks. What are the other solutions that eMudhra is having in its kitty supporting the big Digital India campaign? We are a company focused on digital transformation and a vast majority of our offerings are built to enable the same. Our offerings are split into four distinct areas, all of which enable Digital Transformation. Our Identity Governance suite focuses on sophisticated authentication and identity management solutions to enable firms to offer digital services with a peace of mind. Then, we have a PKI suite which focuses on Advanced Encryption, Digital Signature creation, and more. The purpose is fundamentally to enable creation and management of Digital Signatures, which is a key component in any digital transformation journey. Then, we have the emSigner Suite which focuses on paperless transformation in a regionally and globally compliant manner. Finally, we have a Big Data & Analytics suite focused on anomaly detection, fraud analytics, and more which would essentially help institutions to automate the evolution of actions based on real-time market insights in a futureproof manner. What plans eMudhra has in its kitty to make its mark abroad? We started our global journey about a year ago. Today, we already have 70 partners spread across the 36 countries in the region of Africa, Middle East, Far East and Latin America .We have seen strong demand for our offerings due to our progression towards digital transformation across most of the global markets. In the coming year, we plan on opening our offices in the USA with a more active focus on growth in the western markets. We also hold the vice-chairmanship of the Asia PKI Consortium, and members of our management team are part of the UN/ CEFACT council focused on making progress in blockchain globally. We are currently in talks with regulators across various countries to further understand regional nuances around digital transformation and evaluate how further we can help them in achieving their Digital Transformation vision. Towards the end of the last year, eMudhra has announced to develop blockchain solutions for Smart Cities. What has been the advancement on this so far? What kind of solutions are in the pipeline from the techstartup to enable enhancement of Smart cities? There has been a significant development on this front. As a company with a focus on Identity management, progression towards blockchain was inevitable. This is primarily because, in most use-cases, identity forms a very important element in the blockchain network. emBlock, was an initiative which came out of emLabs. As of last month, this has moved out of emLabs and is now a ready-for-market proposition. emBlock uses the hyperledger fabric and makes adoption of blockchain simple through an intuitive dashboard and a simple set-up process. We are currently working on some early stage initiatives focused on communication security and redundancy in smart city networks using blockchain. Other than emSecure, and emBlock, we are working with various manufacturers to address various hardware limitations around IoT security at the manufacturing level itself. emSigner is a solution designed to enable enterprises go paperless. How widely has this been adopted across the country? How has been the responses towards the solutions? Do you think that our country is capable of going paperless completely at this phase? emSigner is one of our flagship solutions. It has been adopted in a large way by a large number of customers across all the verticals. Currently, emSigner powers various government e-Office systems, various large domestic and global companies, eCommerce companies, telcos, SME’s, and more such organizations. Some popular use cases we have seen are bulk signing of invoices and other documents, Digital HR Processing, Digital onboarding, and Digital Contracts processing for select industries. We are working on more use cases focused on Education and Healthcare which will be rolled out shortly. The response to emSigner has been truly amazing and fulfilling for us, especially since we could see a shift towards paperless transformation. India is quite advanced on the digital and paperless front as compared to the other countries in the world. In fact, many initiatives that have been done here are being studied by other markets who are just now, vying for this adoption. What major challenges do you face while operating in the Indian ecosystem? in any market comes with its own set of challenges and must be addressed. In India, the primary downside that has an impact on business is the relatively lower price level of our offerings as compared to the international markets. Despite being in a niche segment in the Indian IT market, it is still difficult to command a price at par with international markets. Hence, organizations here generally have to compensate price with volume to make for a meaningful business. Otherwise, there are challenges surrounding infrastructure and reliability of services, both of which are critical to IT operations. However, in sensitive IT-focused companies like eMudhra, we are compliant with various requirements to have redundancy in place to manage these elements. eMudhra recently enabled Aadhaar enabled payment system. Please elaborate a bit on this product and how has been the response in the market? eMudhra’s NACH Mandate offering was an innovative offering which enabling paperless collection of direct debit mandates using eSign, which resulted in huge cost and time saving for Corporates and Banks. At the outset of launching the solution, we saw immense interest from Banks and payment service providers. Transaction volumes were also very high. However, given the various process and regulatory changes, with respect to AADHAAR and eSign, we are working to understand their impact on usage of eSign for NACH mandates.